The hunt is on in November in New Ulm! 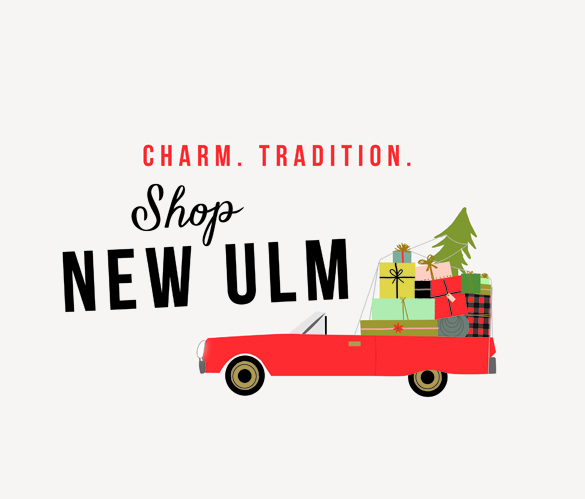 While some are deer hunting, come to the Annual Shopping Opener in New Ulm! No license is needed for this destination event. November 8-10, 2019. Shopping divas make it a tradition to kick off the shopping season here in New Ulm. Eat, stay and play! The New Ulm Specialty Shops have joined together for open houses, tasty treats, events and giveaways. 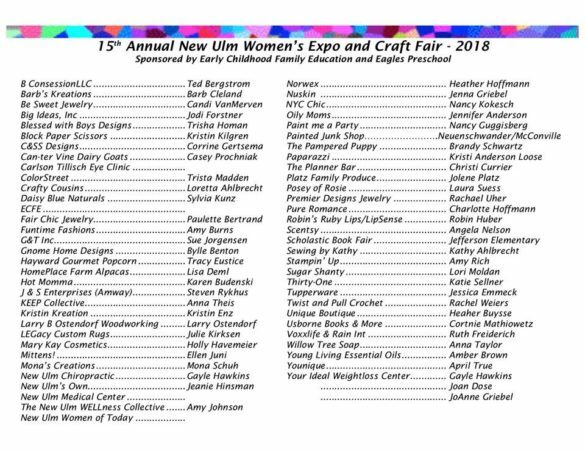 Check out the Women’s Expo – over 100 vendor booths, crafts, wellness, home businesses and more. This event is sponsored by the Early Childhood Family Education Program and grows every year. 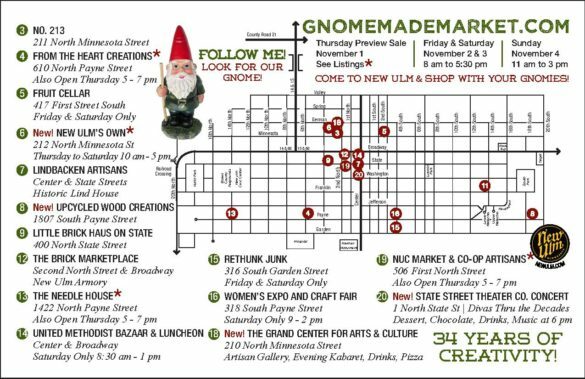 The GnomeMade Artisan Market will host open houses throughout the city on the weekend of the Shopping Opener. Don’t miss all of the creative energy that this town has to offer! Grab your gear, polish up your charge card and plan a visit to New Ulm for Shopping Opener. Location: Downtown and all around town. Events are still being scheduled. Check back for updates! More details about these events on the Event Calendar. 8am-5pm - Craft Sale/1121 18th South St.
4-7pm - Fantastic Finds on Franklin/1622 S. Franklin St.
8:30am-1pm – United Methodist Bazaar & Luncheon/1 N. Broadway St.
9am-12pm – New Ulm Community Market/516 1st North St.
9am-4pm - Fantastic Finds on Franklin/1622 S. Franklin St.